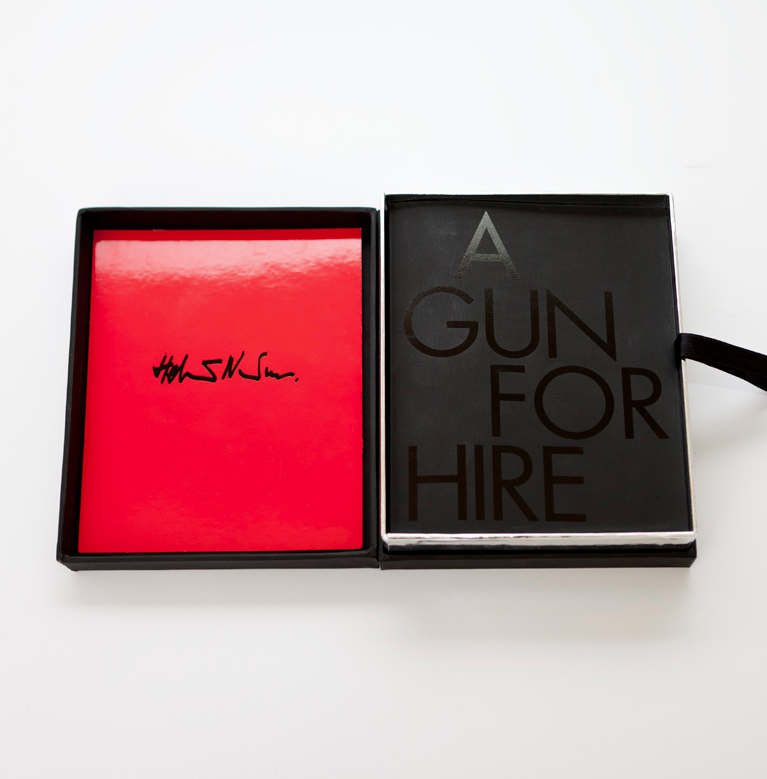 A Gun for Hire is an exhibition catalogue containing fashion shots by Helmut Newton. June Newton chose the works for the Grimaldi Forum in Monaco in April 2005. The catalogue also contains texts by June Newton, Pierre Bergé, Tom Ford, Josephine Hart and Anna Wintour. The cover material is 330 g black glazed paper (paper with a black satin finish) and the text is in 62 g Curious Xpose Clear, 250 grs red Chromalux and 170 g Parilux gloss. It was printed using a four-colour process with Foster grey (DuoTone) and in-line varnished illustrations. Catalogue for the exhibition A Gun for Hire, at the Grimaldi Forum, Monaco.